How do the fonts provided works? 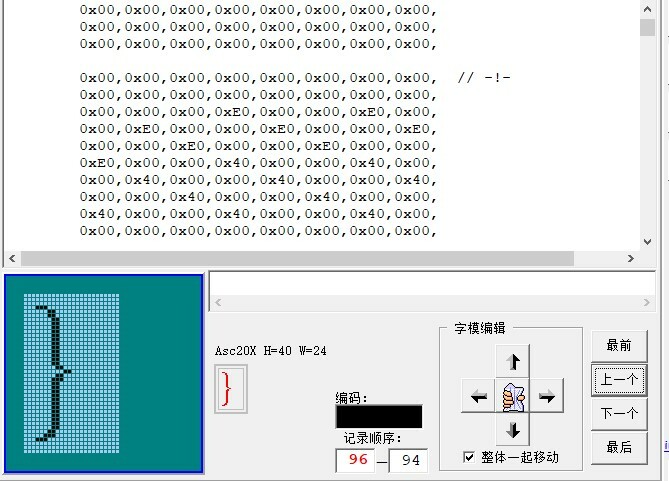 To draw a character on dots matrix screen, it works like to draw many dots on screen and make it look like a character. 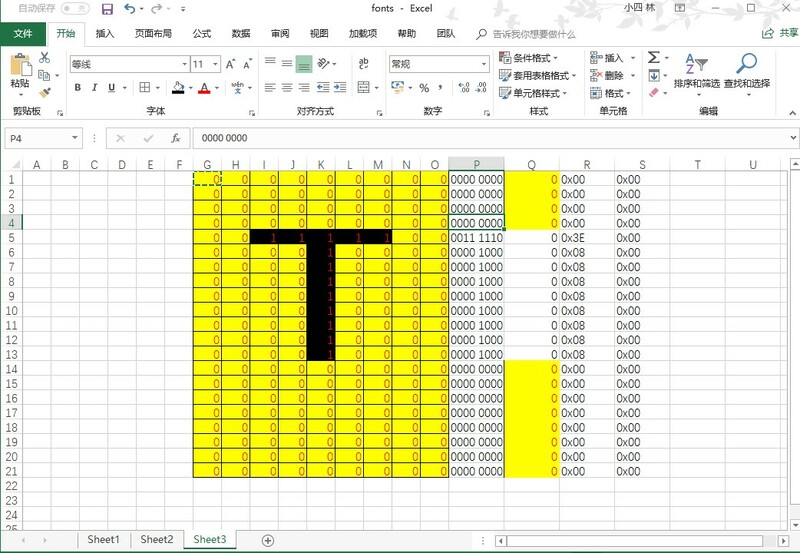 Just like this: we draw every “pixel” to white （for visibility I set it Yellow）or black, and finally we get the character “T”. We take the font24 as example. The fonts we used are created by MCD Application Team. Its scanning way is from left to right and from top to bottom as well. 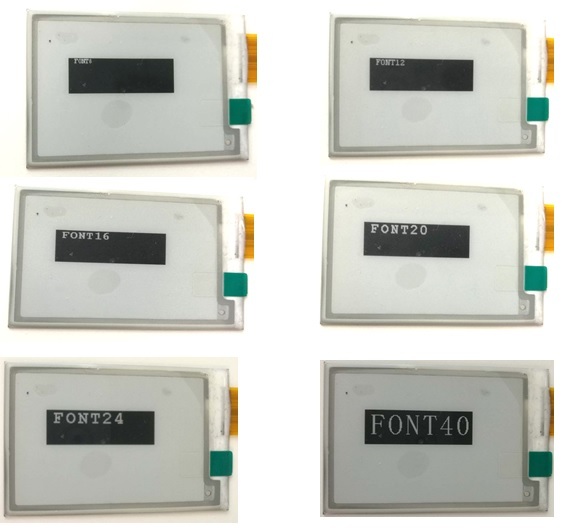 In this way, we can make a larger font manually, or use tool. Like this one, as the software only supports Chinese, I don’t provide it. The character I made is 24 wide and 40 height. Then we could use it on the code. Some users what to make fonts for special character or other language. 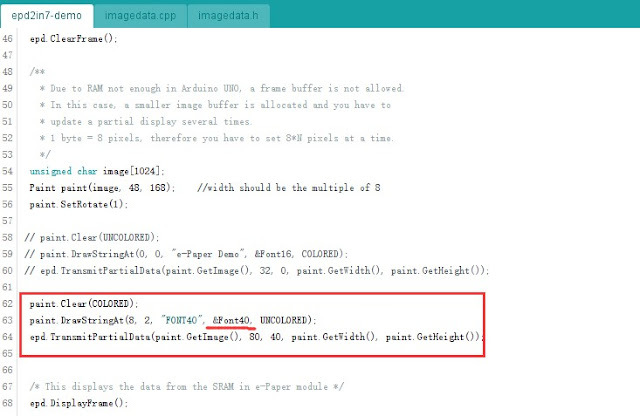 The most information things which they should consider about is how to calling the values of fonts on functions and turn it to pixels drawing. 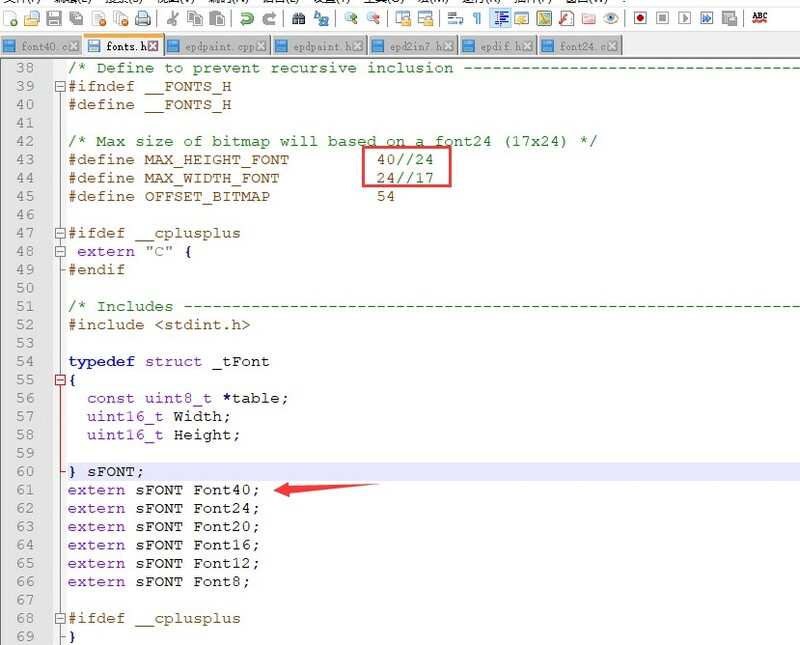 The fonts we make above is all ASCII characters, and they stored in arrays in order of ASCII table from 32 (space) to 127 (DEL). We can see, we get the offset value of the characters by minus character ‘ ‘ (space)* the numbers of HEX data per character. 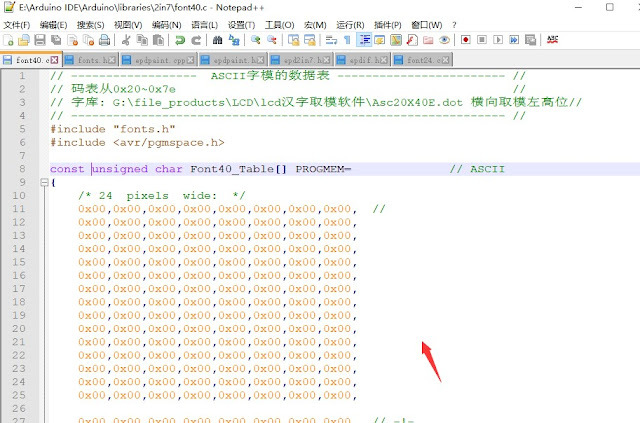 For example, if we want to draw a char A, we know that its ASCII value is 65 according to the above table. And in the fonts the first character is ‘ ‘ (space) which ASCII value is 32. We get the offset 33 (65-32). And we know that, the font40 wide 24 and height 40, we can get that 24x40 = 960 bits for every character, and because we save it in HEX format, so we can get that, for every character, it has 960/8 = 120 HEX values. With this we can get the address of first data of character “A” is 33 x 120 = 3960. 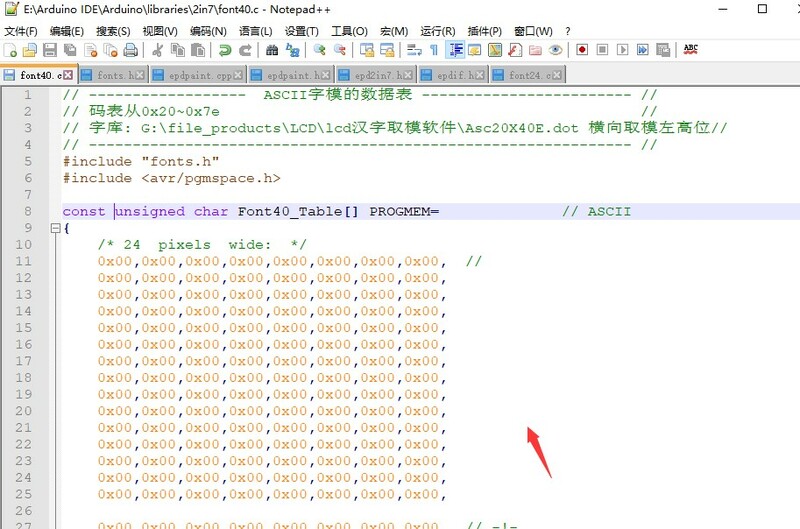 So Font40_Table is the first HEX data of character “A”. That is how the function working with the fonts. 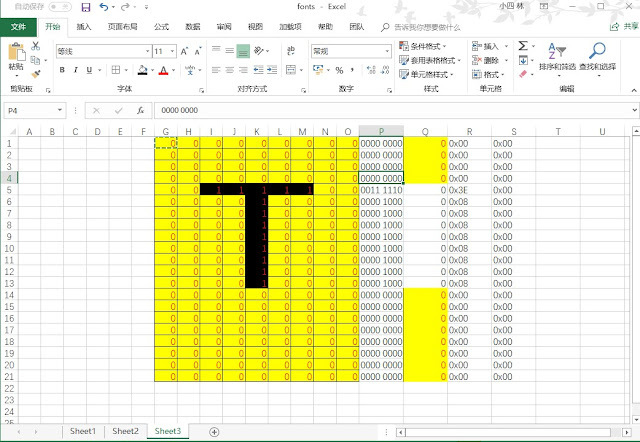 If you want to make a new fonts for other characters which are not inclued in the ASCII table, you need to change this function to get the right values. 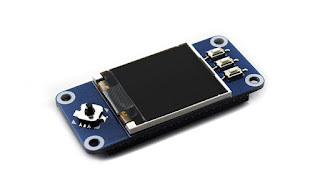 Some users feedback that this LCD less of instruction and some of them like to use it as a monitor of Pi. 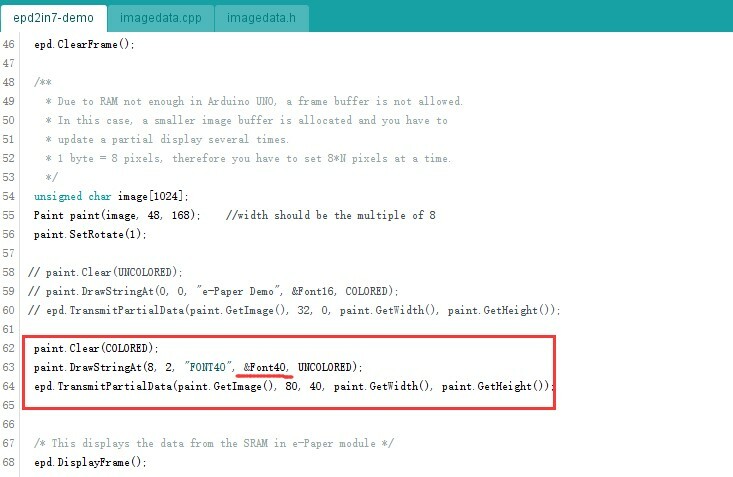 So, this article Let's learn how to port fbtft for displaying with Raspberry Pi. Several months ago, if users of Waveshare HDMI LCD ask about how could I rotate the LCD not only the display but as well as the touch. We always said that you need to re-compile the kernel but we have no instruction about it. And two months ago we provided another method that modify the libinput paramters which you can visit on our wiki website. Here I want to share you the way that compiling kernel.